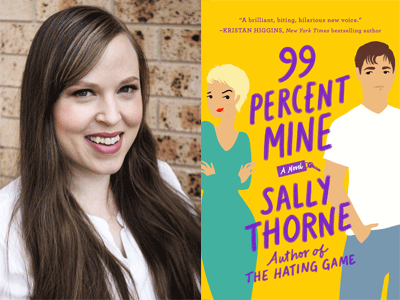 USA Today-bestselling author Sally Thorne shares her new unforgettable romantic comedy, 99 Percent Mine. Sally will be in conversation with Kristin Rockaway, author of the upcoming How To Hack a Heartbreak. This next hilarious romance includes a special PS section with two Happily Ever Afters--one for this novel featuring Darcy and Tom and the other, an epilogue featuring fan favorites Lucy Hutton and Josh Templeman from The Hating Game!